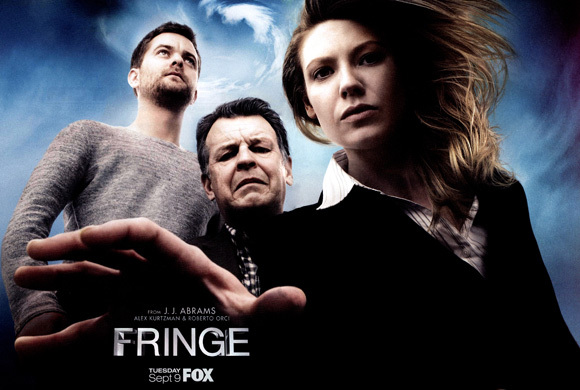 The Jordan Movie Blog: TV News: Fringe Returns for Season 5! TV News: Fringe Returns for Season 5! Fringe has been one of my favorite series ever to be televised. Sitting right next to The X-Files as my favorite sci-fi show there were rumors that its run would end at the end of this 4th season. Thankfully, Fox decided to renew the show for a 5th and final season starting in the fall. A limited number of episodes (13) will allow J.J. Abrams and company to properly finish the creative arc of the series. I'm a few episodes behind on my DVR right now but this news makes me want to catch up as soon as possible knowing that a proper end is in sight.